There’s nothing we love more than kicking back in a pair of sneakers, and it seems celebs agree with us. 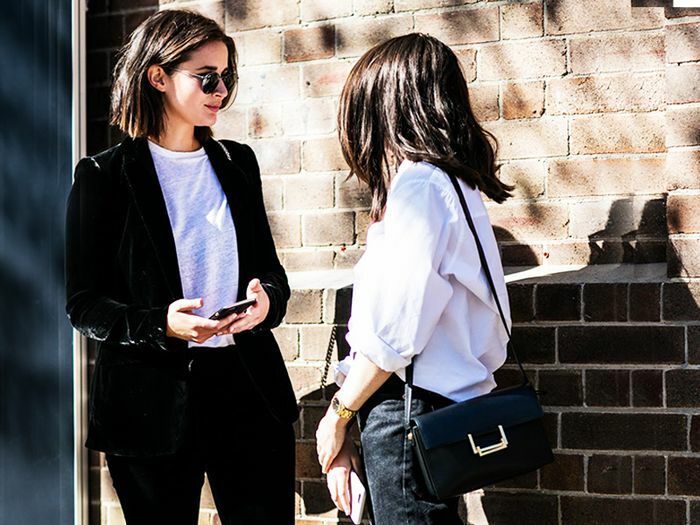 Not only are the shoes stylish, but they’re also comfortable enough for any street style look or airport outfit—and there are a few key styles we’ve noticed celebs wearing on repeat. One popular style we’ve been spotting on our favorite celebs are black athletic sneakers. Instead of reserving them for the gym, they’ve been working them into their street style looks. Arriving at the airport, for instance, Jourdan Dunn wore hers with striped satin pants and an oversize denim jacket, pulling off the perfect travel look. 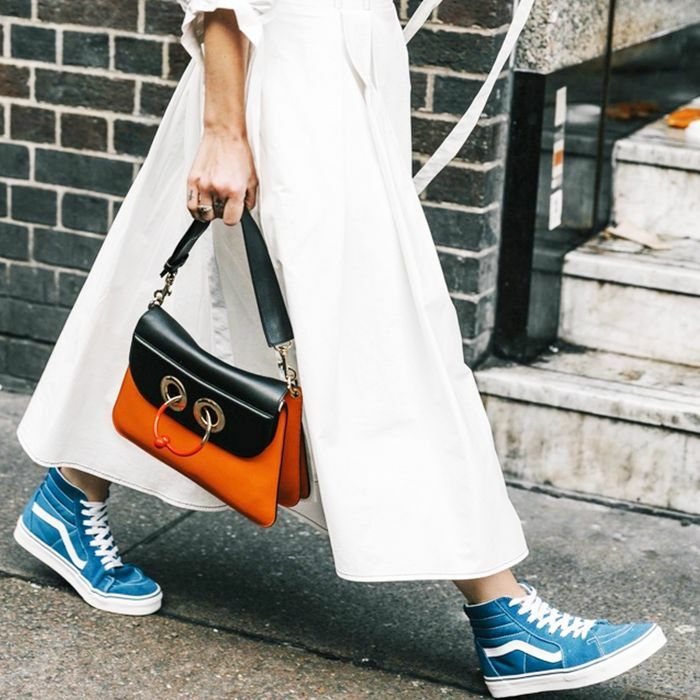 We’re also seeing white sneakers everywhere. Bella Hadid recently opted for a clean white pair styled with white pants and a cropped hoodie, she pulled off a cool off-duty look. On the other hand, celebs like Elle Fanning and Olivia Palermo are going for a more fashiony version. Their slip-on sneakers by Roger Vivier are adorned with crystals and make a big statement. Want to see how other celebs are wearing white sneakers? Keep reading to see the sneaker styles celebs like Gigi Hadid, Selena Gomez, and more are wearing this season. Then, shop our 15 favorite pairs. On Gigi Hadid: Reebok Classic Leather Sneakers ($75). On Sofia Richie: Adidas Nmd Runner City Sock ($400). We love the graphic pink detail. Fashion girls love APL's cult sneakers. Try out this sock-like style. Style yours with satin pants. Take these from the gym to the street. On Bella Hadid: Nike Classic Cortez Sneakers ($70). On Lily Collins: Vince Varin Sneakers ($207). On Alessandra Ambrosio: Nike Air Max 90 Sneakers ($110). These work equally well styled with skirts or trousers. Finished with a faux snake-print detail. These will be your new weekend staples. On Olivia Palermo: Roger Vivier Sneaky Viv Crystal-Buckle Sneakers ($1325). On Elle Fanning: Roger Vivier Sneaky Viv Crystal-Buckle Sneakers ($1325). On Selena Gomez: Stuart Weitzman Nuggets Croco Embossed Leather Sneakers. The exact style worn by Olivia Palermo and Elle Fanning. Add these playful shoes into your weekend wardrobe. You can't go wrong with the classic, affordable style. Wear yours with everything from floral skirts to denim. Also available in pink, black, and silver. Next, read about the cool fashion brands everyone will be wearing before summer is over.